Why is Skippy Called Skippy? For the British it’s Marmite, for Australians its Vegemite, but for Americans our spreadable of choice is peanut butter. Chunky, smooth, with honey, natural – no matter the style, we just can’t seem to get enough of it. It is a classic grammar school staple and where kids’ brand loyalty begins. Four out of five days during the school week my mom would make me a peanut butter and jelly sandwich, light on the jelly and always with the crust cut off. I loved peanut butter so much that when Skippy started selling tubes of peanut butter for on the go, I’d have that along with my peanut butter and jelly sandwich. Needless to say, debates at the lunch table on whether or not you “Choose Jif,” or believed in, “Skippy! Yippee!” were a constant during my formative years and I firmly stood with Skippy. But before we get into peanut butter, this story begins with comic strip creator, Percy L. Crosby. In 1923, he created “Skippy” for Life Magazine, a story about a scrappy kid who liked to paint fences. Two years later, in 1925, he trademarked the name. Why is it Called Skippy? Skippy Peanut Butter’s story begins in 1922, with California businessman, Joseph L. Rosefield of the Rosefield Packing Company. Prior to Rosefield, the oil and peanuts would separate in the jar, so he created a formula using a hydrogenation method that prevented the peanuts and oil from separating, in what is now considered modern peanut butter. Initially, he licensed his new production process to popular Chicago based peanut butter makers, Peter Pan, while also selling his own “Luncheon Brand” peanut butter in California. 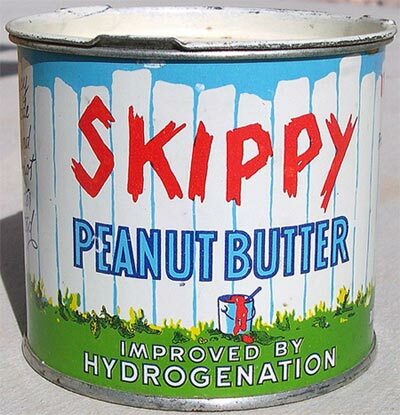 However, after ten years on the market, he decided to change his brand’s name to “Skippy.” Law firm Foley Hoag noted his decision to change the name occurred immediately after the success of the comic strip’s Hollywood debut and that even the paint brush lettering on the packaging is strikingly similar to the comic. In 1933, Rosefield attempted to register the name but Crosby successfully disputed the registration. No matter, Rosefield continued to sell his peanut butter under Skippy and used the same branding for his packaging. Ultimately, Crosby never sued Rosefield and once his federal trademark registration expired in 1945, Rosefield was able to register the Skippy peanut butter mark without opposition in 1947. Crosby’s daughter and heir Joan Crosby Tibbetts continued to sue the new owners of Skippy – CPC International – well into the early 2000s. 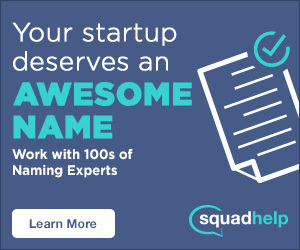 Though she never won a copyright infringement suit against Skippy, she beat them to the punch in the 1990s and registered the domain name Skippy.com, where all of her father’s work is recognized. Next time you type in Skippy peanut butter, you’ll notice this still rings true and their domain name is: www.peanutbutter.com and not Skippy.com. So where does your allegiance lie? Are you a fan of Skippy or Jiff? Let us know in the comment section below. Lauren Dunn is a contributor for Rewind and Capture. With a passion for food and wine she received a degree in agricultural journalism and has put this to use as a cellar apprentice from Italy to Sonoma. When she’s not in the vineyard she’s training for open water swims or catching a flick at the cinema.